Three FTD releases are scheduled for this month - START SPREADING THE NEWS; ROUSTABOUT; and the TOO MUCH MONKEY BUSINESS 2 LP set. See below. COMMENTS 53 years later, FTD is pleased to announce the long awaited "Classic Album" version of ROUSTABOUT. Reaching #1 on Billboard in February 1965, it would Elvis' last chart topping album until ALOHA FROM ELVIS VIA SATELLITE in 1973. Packaged in 7" format with a full color 16-page memorabilia booklet, it contains previously unreleased material and the recently discovered "I'm A Roustabout" track. Please click on the photo for a larger picture of the cover. COMMENTS The book comes with a bonus CD - audience recording - containing the opening night, June 9th, 1972 show. 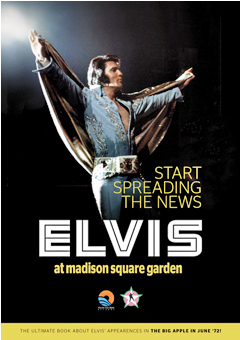 Pal Granlund was in New York in 1972 for the MSG concerts and there are photographs of him meeting Elvis backstage, so the book will no doubt feature his personal stories and much, much more. Please click on the photo for a larger picture of the front & back covers.. COMMENTS Based on the original 1981 GUITAR MAN album, FTD Vinyl's new release contains all the tracks featured on the FTD CD release from 2000. The 2-LP features full overdub session data insert. Pressed on 180 Gram heavyweight vinyl, it's availability is strictly limited as all previous releases. Please click on the photo for a larger picture display of this set. *Taken from the album I WAS THE ONE 1983. Please click on the photo for a display of this package. UNRELEASED FILM -JIMMIE RODGERS MEMORIAL CELEBRATION MERIDIAN MISSISSIPPI - MAY 25TH 1955. Baby Let's Play House; I'm Left, You're Right, She's Gone; I Forgot To Remember To Forget; Mystery Train; Trying To Get To You; When It Rains It Really Pours; How Do You Think I Feel? (SESSION) NOTE: exist's only from the echo track tape which was linked to Scotty's guitar making it very hard to distinguish Elvis' vocals. - 11 fully restored tracks from 1953-1954 using never before released original sources of masters, acetates and tapes to produce high quality sound never before heard. A selection of photographs is used to accompany each song..
2) THAT'S ALL RIGHT 45RPM SUN SINGLE REPRODUCTION!! PROCESSED AND PRESSED FOR THE FIRST TIME SINCE 1954 FROM THE ORIGINAL SUN MASTER 'MOTHER STAMPER'!! -The original Sun 209 45rpm issue of 'That's All Right' was Elvis Presley's first commercial record. It was recorded on JULY 5, 1954 at the Memphis Recording Service and was released later that month. In 1955 ‘That's All Right' was re-released by RCA Records with an added echo effect on the vocal track. Subsequent re-issues of this song from 1955 to the present day have all contained that same echo effect, not faithful to the first Sun recording.. If you have never been fortunate to own the original pressing and hear the sound as it was intended, here it is. Through acquisition of the Sun's master 'Mother' - the part responsible for pressing the first run of records, we can present 'That's All Right' back in its original format with the same same matrix number and three pushmarks. This will give all true Elvis fans an exclusive chance to experience the birth of R+R for themselves. COMMENTS FINALLY!! 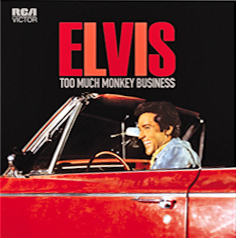 The ULTIMATE book on every known Elvis Presley bootleg 78, single, EP, and LP releases that have ever been issued will be aout in two months. ONLY 1000 copies will be printed! ! Sounds impossible doesn't it but Felix Gubeli and his gang from Europe have finally made this a reality! There are close to 1,000 entries illustrated with more than 1,200 photos. 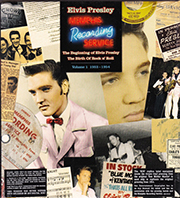 WORLDWID ELVIS WILL BE THE ONLY DISTRIBUTOR OF THIS BOOK IN THE U.S. ! NOTE: Because of a few things like the constant changing of the value of the EURO and still trying to determine the AIR postage rates the final price of this book can't be listed today but it will probably be around $200. . Please click on the photo for a great display of some of the pages.